For any questions please contact Steve Horn. 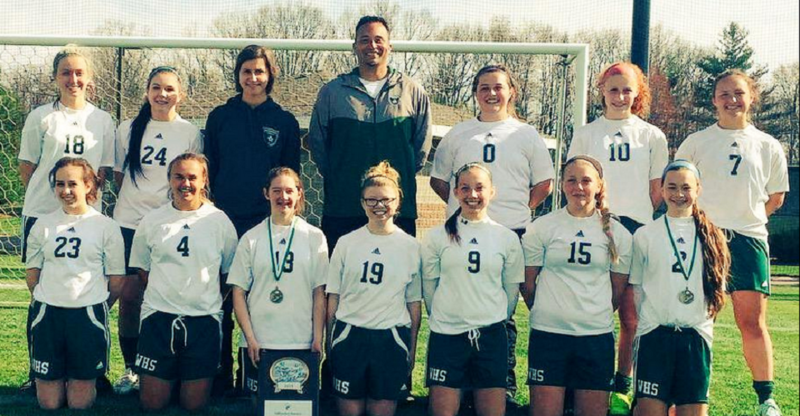 If you are an alumni who played soccer at Williamston (JV or Varsity) please send contact information to Jim Flore at flore@msu.edu or call 517-655-1498. Caitlyn Clem (’13) – University of Wisconsin, Madison WI. Hannah Sweeney (’13) – Olivet College, Olivet MI. Gabby Garza (’12) – Northern Michigan University, Marquette MI. Heather Beasley (’12) – Saginaw Valley State University, Saginaw MI. Adrienne Watts(’12) – University of Michigan club, Ann Arbor MI. Lisa Vogel (’11) – Michigan State University, East Lansing MI. Courtney Wright (’11) – Saint Mary’s, South Bend IN. Courtney Clem (’10) – Michigan State University, East Lansing MI. Becky Marton (’08) – Alma college, Alma MI. Victoria Beasley (’08) – Western State College, Gunnison CO.
Leslie Needler (’06) – Aquinas College, Grand Rapids MI. Jacquelyn Barrett (’06) – Saginaw Valley State University, Saginaw MI. Captain her senior year. Michelle Young (’05) – Ferris State University, Big Rapids MI. Michelle Kavanagh (’04) – Defiance College, Defiance OH. Julia Rice (’04) – Michigan State University. Jenna Schrumpf (’03) – Western Michigan University. Goalie coach for Bay City John Glenn HS. Katie Kruse (’01) – Michigan State University, East Lansing MI. Stephanie Blumer (’01) – Olivet College, Olivet MI. Barb Powell (’01) – Saginaw Valley State University, Saginaw MI. Team Captain as a senior. Assistant coach in ’04. Jenna Blumer (’98) – Michigan State University, East Lansing MI. Helped lead the club team to their 1st NIRSA bid as one of the top 16 teams in the country. Alexis Perkins (’97) – Spring Arbor University, Spring Arbor MI.